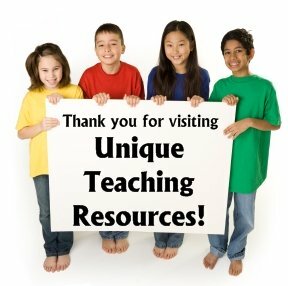 The educational resources that are found on Unique Teaching Resources are the result of my 23 years of teaching experience around the world. 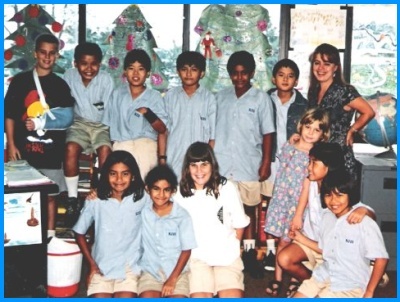 I began my teaching career when I was twenty one years and since that time I have taught in Guam, Florida, Virginia, Hawaii, Arizona, China, Indonesia, Kuwait, and Bahrain. 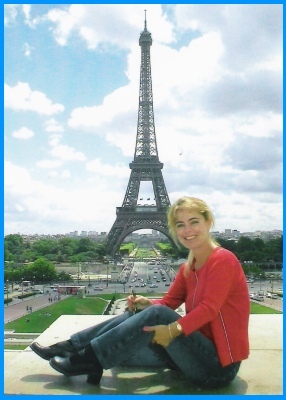 I am a Canadian born, American educated teacher who has taught overseas in a variety of international schools. 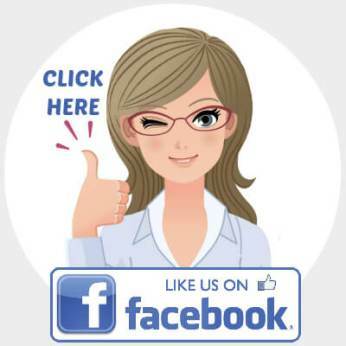 I was born in Ottawa, Canada, but my family moved to Prince George, British Columbia while I was still very young. In 1976, my father was tired of the cold winters in northern British Colombia, so he moved our family to Daytona Beach, Florida, where I attended middle school and high school. I graduated from the University of Florida with a degree in Special Education and a specialty in learning disabilities. Later, I worked towards my master's degree in that same specialty. 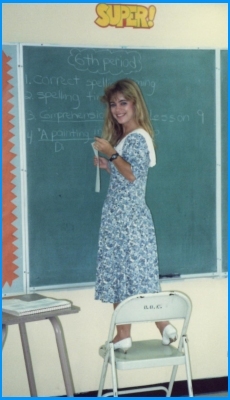 My first teaching positions were as a learning disabilities middle school teacher in Guam, Florida, Virginia, and Hawaii. After teaching middle school in the United States for six years, I applied for a teaching position in an international school in China. 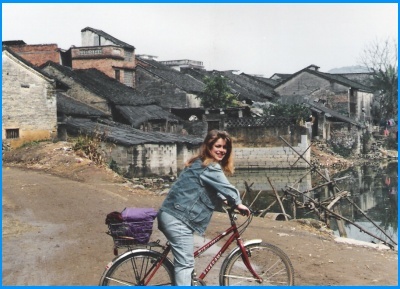 I loved living and working overseas, and I ended up spending 16 years teaching in a variety of different elementary schools in China, Indonesia, Kuwait, and Bahrain. 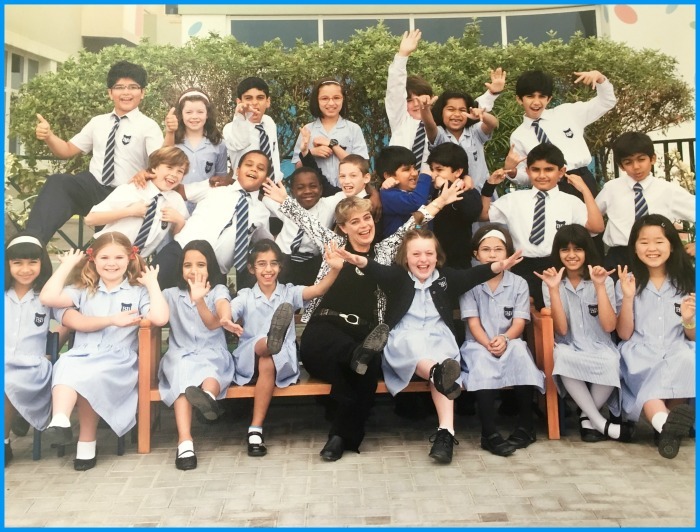 At the international schools that I taught in, I worked with talented and dedicated teachers from Canada, Australia, New Zealand, United Kingdom, and many other countries. I was fortunate enough to be exposed to the best teaching practices from all of these teachers and their home countries. I believe that these experiences, and the teachers that I met from around the world, shaped who I am as a teacher today. During my 23 years as a teacher, I have had a variety of different experiences teaching students who have learning disabilities and elementary school students. In supplementing the curriculum that I have taught, my number one focus and goal has always been to reach the needs of all of my students, while making reading and writing fun and challenging at the same time. 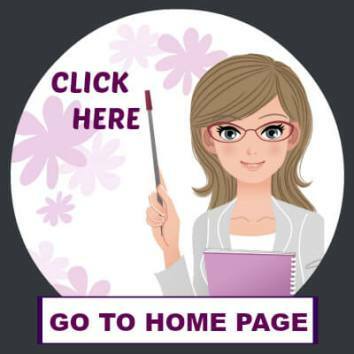 All of the resources that you will find on my website were created by me, for my students. The materials and student projects found on Unique Teaching Resources have been tried, tested, and refined over the years as I have used them year after year with my own students. 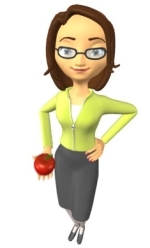 The main goal of my website is to help teachers by alleviating some of their heavy workload. 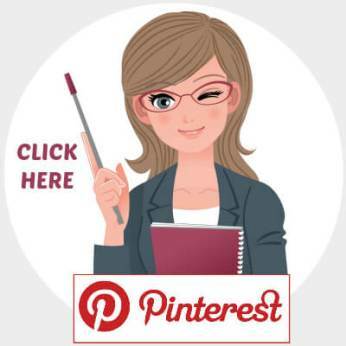 I hope that you will find fun and creative teaching resources on my website that will save you time in planning your lessons. 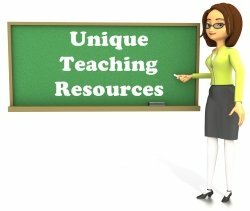 I hope that these lesson activities engage your students in learning and help you to create a stimulating learning environment for your unique students. Have a fun and successful school year! Below are some photographs that will give you a "snapshot" of some of the countries that I have taught in and traveled to. 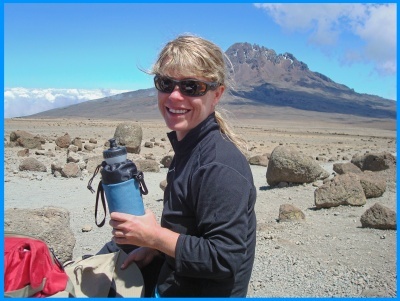 Above: In February 2010, I traveled to Tanzania and visited two local schools. My website, Unique Teaching Resources, made donations to these two needy schools. I arrived in Arusha, Tanzania with 4 huge suitcases filled with school supplies to donate to these two schools. I brought 30 sets of lined writing notebooks, color pencil sets, color marker sets, pens, boxes of pencils, erasers, pencil sharpeners, scissors, tape, glue, and construction paper. I also brought soccer balls for the students to play with at recess time. Above: This is the first volunteer effort that I did through my website, Unique Teaching Resources. I hope that this is just the beginning of the many ways that I can use my website to help children who are less fortunate. Above: Before I left the school, the students lined up in their courtyard area and sang a beautiful song about Tanzania and the Serengeti to show their appreciation for the materials that Unique Teaching Resources donated to their school. If you are interested in hearing the children singing this song, I took a video of their performance and you can view it above. 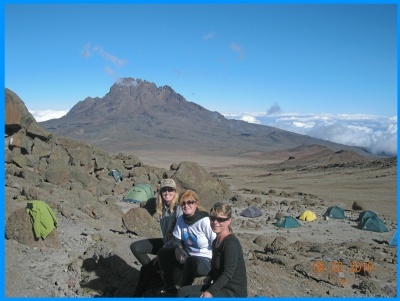 Above: During my 2010 trip to Tanzania, my girlfriends and I climbed Mt. Kilimanjaro. In this photograph, we are at the base of the mountain beginning our hike. Cally is British, Carina is Swedish, and Donna is German. 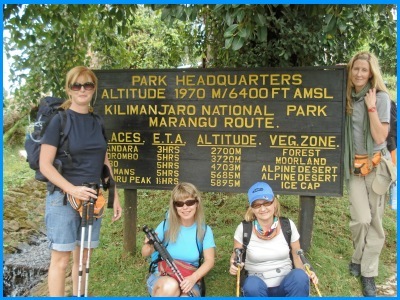 Above: The hike took four days to reach the summit and one day to climb back down the mountain. This photograph is from Day #3. 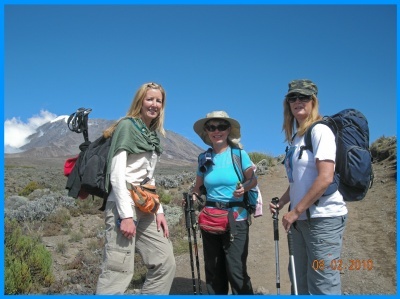 Above: This photograph is from Day #4 and we are resting before we climb the hardest and coldest part of the Mt. Kilimanjaro. Above: This photograph is from Day #4, which is a long time to go without taking a shower! Above: After climbing Mt. 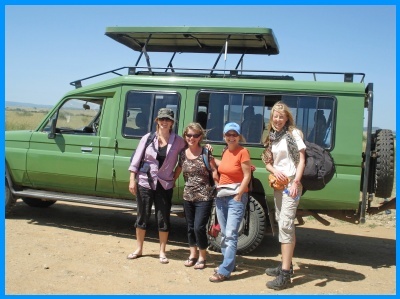 Kilimanjaro, my friends and I relaxed for 3 days by taking a safari in the Serengeti. 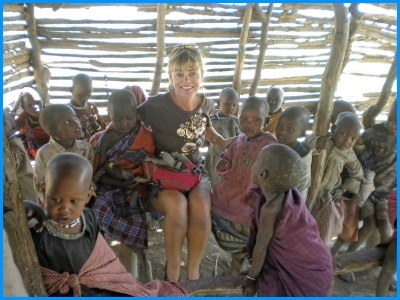 Above: Visiting a Masai village in Tanzania. Above: This is a picture of me with some of my students on my last day of teaching at Bahrain Bayan School. I lived in Bahrain, in the Middle East, for 13 years. My Grade 5 students planned a surprise party for me on my last day of teaching at this school. 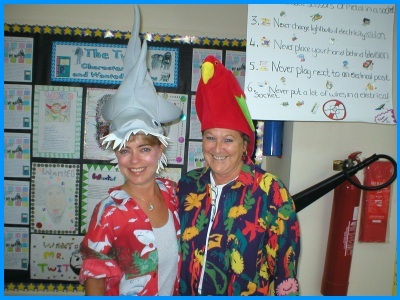 Above: In this picture, I am at a the same school in Bahrain with my friend, Eve Dobson, on "crazy hat day." Eve is British and was the <b>art teacher at this school. We had a lot of fun working together and collaborating on different projects for our students by integrating the English and Art curriculums together. Above: This is a picture of me with some of my students at a beach in Kuwait for our "teddy bear picnic." 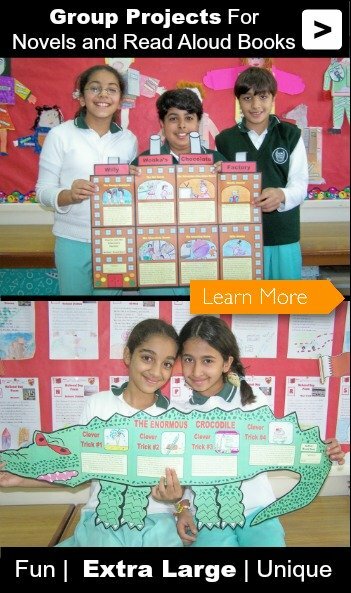 I taught in Kuwait for one year at a school for special needs children. Above: In this picture, I am with my Grade 5 students in Jakarta, Indonesia. I lived in Jakarta for one year. This picture was taken in 1996. Above: This photograph is very old and it was taken in my first classroom in Guam in 1988. In Guam, I taught middle school students with <learning disabilities. Above: This photograph is also from my first classroom in Guam in 1988. My parents were visiting my classroom and I "allowed" my dad to take this picture of me. Since I'm fairly short, it was impossible for me to reach the top of my blackboard. So, each morning before school started, I would stand on a chair and write out the activities for the day on my chalkboard. Now a days, I don't have to worry about standing on a chair, as I type information like this on a powerpoint template and use my computer projector to display that kind of information on a whiteboard instead. Technology sure has changed a lot since my first teaching job in 1988! 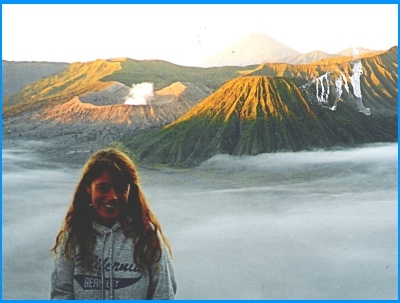 Above: This photograph is from a sunrise hike up to Mount Bromo, an active volcano in Indonesia. 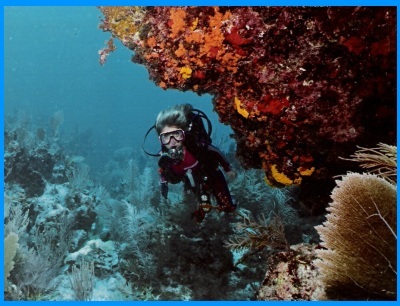 Above: I love scuba diving and had the chance to dive throughout Florida and Caribbean when I was growing up in Florida and going to college at the University of Florida. 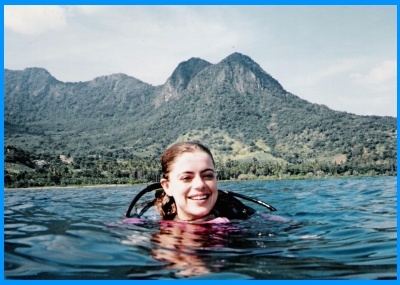 When I lived in Guam, Hawaii, and Indonesia, I was able to dive in some of the most beautiful places in the world. This is a picture of me scuba diving in Bali, Indonesia. Above: My father took this photograph of me diving in Cozumel, Mexico. Above: I lived in Beijing, China for one year. I didn't have a car, so I had to ride a bicycle everywhere. 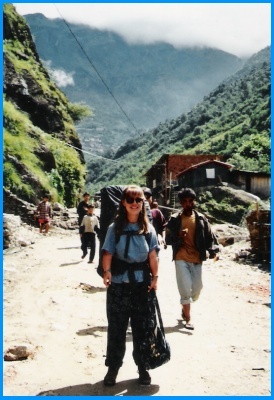 Above: In my "younger days" I backpacked through China, Tibet, Nepal, Thailand, and Indonesia. 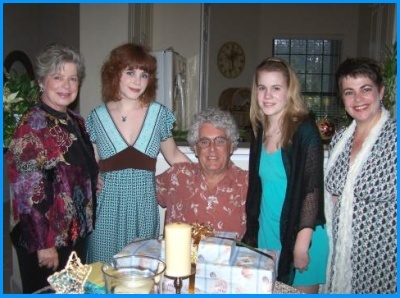 Above: This is a picture of my family celebrating my parents' 50th wedding anniversary. 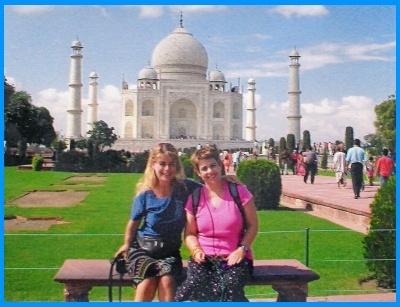 Above: Heather and I took a three week "sister holiday" to India. 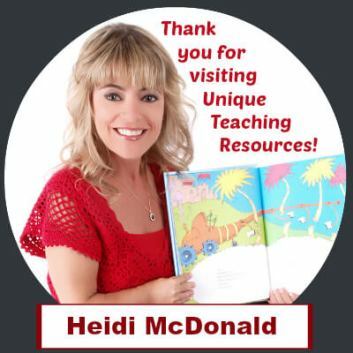 Thank you for visiting Unique Teaching Resources!